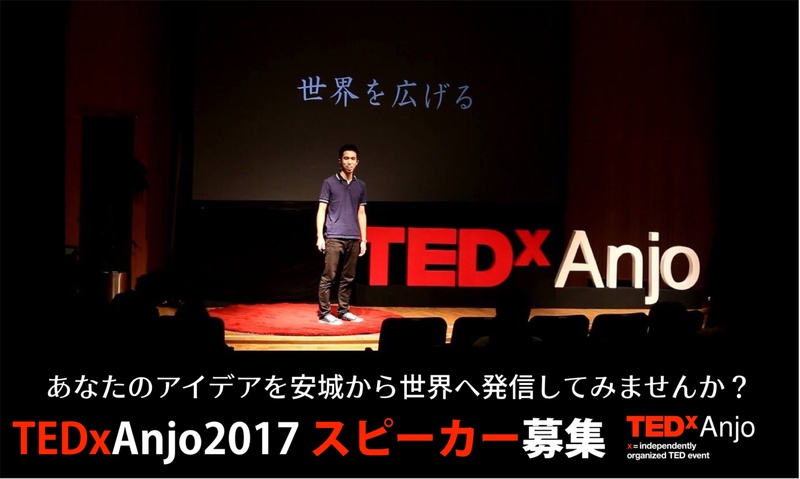 Now we start looking for speakers who can talk in TEDxAnjo 2017! -Having an idea linking to our theme "Yui: Weaving Possibilities"
-Being able to closely contact to staff till the event. -Being able to attend the audition on Thursday, August 11th. By July 7th, fill all blanks in the form below, and we’ll contact you later.